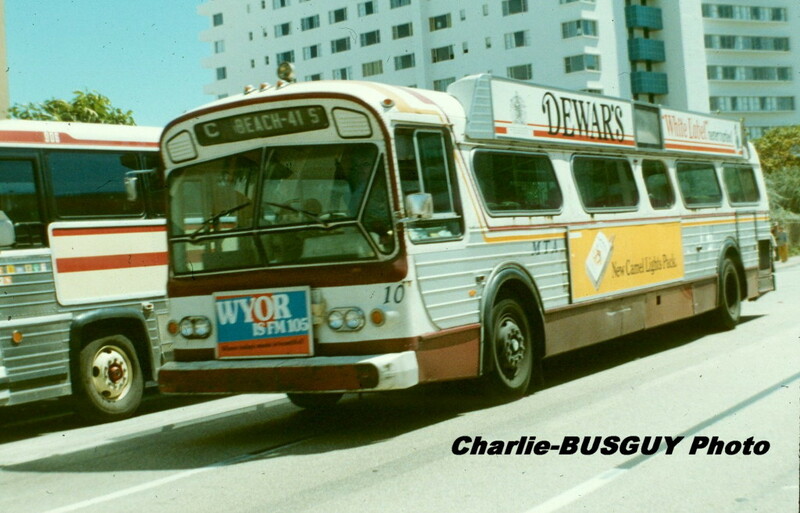 The "Streakers" was an order of thirty Flxible New Looks used on the Orange Streaker Express system from North Dade into downtown/Civic Center/Brickell and MIA. The Streakers came with the Detroit Diesel V8 8V71 with the Allison three speed with overdrive transmission. The overdrive or "speed gear" as some called them made these buses top out at well over 70 mph. They are the most fabled and legendary series of buses in MTA history. Mention the word "streaker" to any veteran operator and you get a smile and a story out of them. 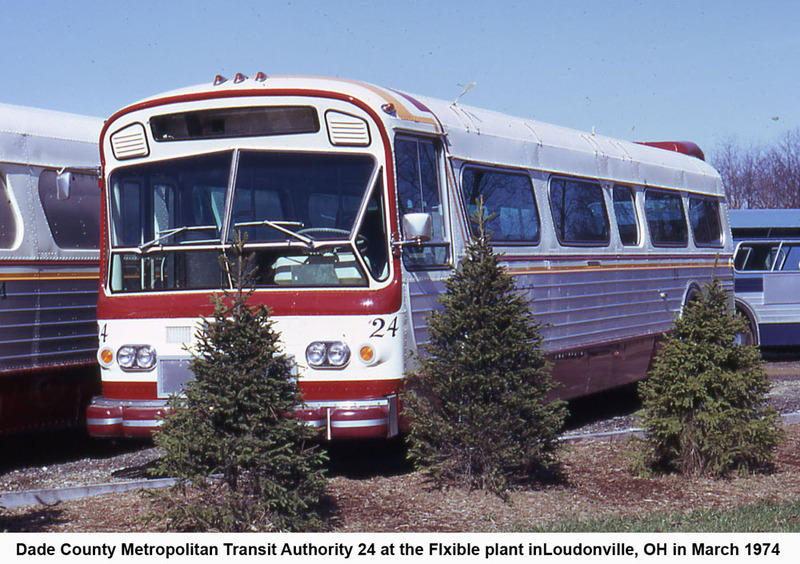 Their speed, cushioned seats, sound insulation, carpetting, and cold AC made these buses very popular with riders and operators. 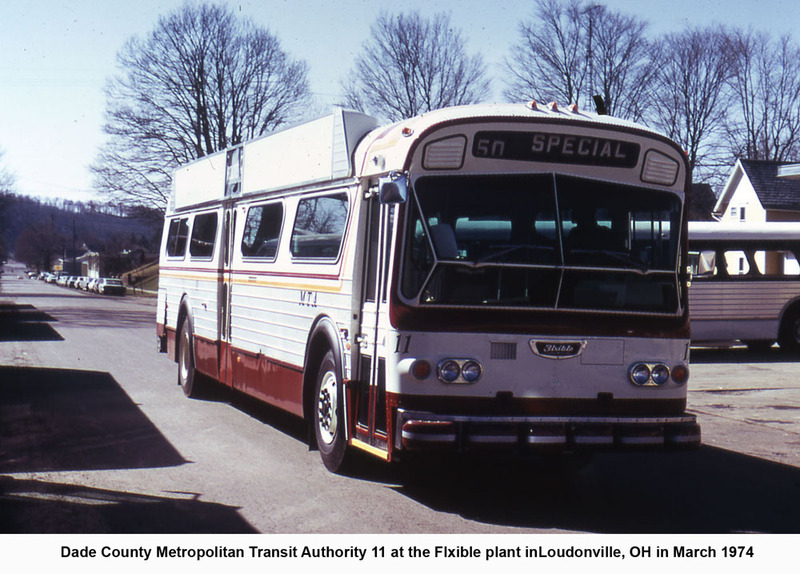 By 1983, the RTS series started replacing the Streakers on the express routes and they were designated for city use. Their brown cushioned seats were replaced with blue cushioned seats on some, and hard plastic seats on others. They were finally retired in 1988 and even at retirement age, these buses drove and handled extremely well. 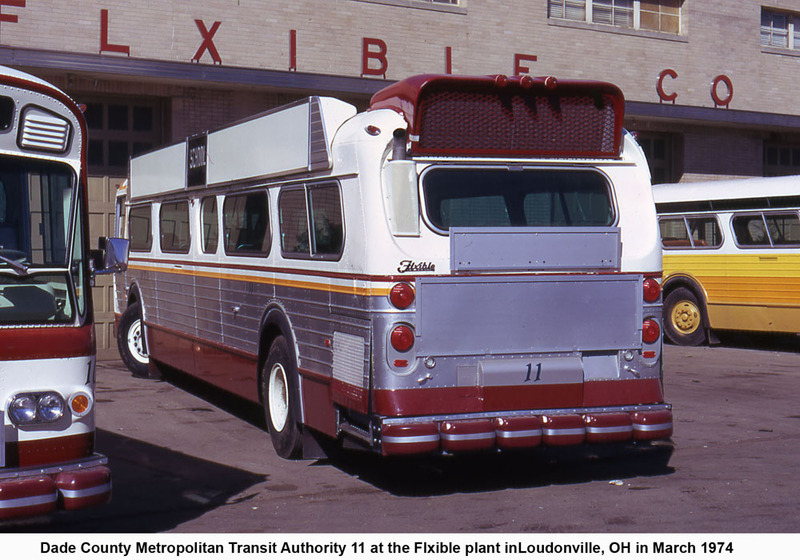 They were the "Cadillacs of buses" as some called them. 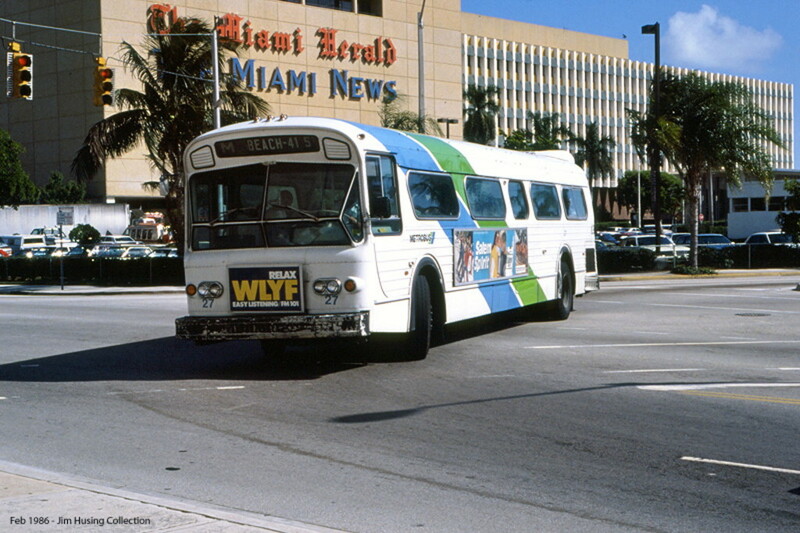 Streaker 8 departing the CBD Terminal and Streaker 27 turning from Bayshore Drive to NE 15th street where the Omni Terminal now stands. 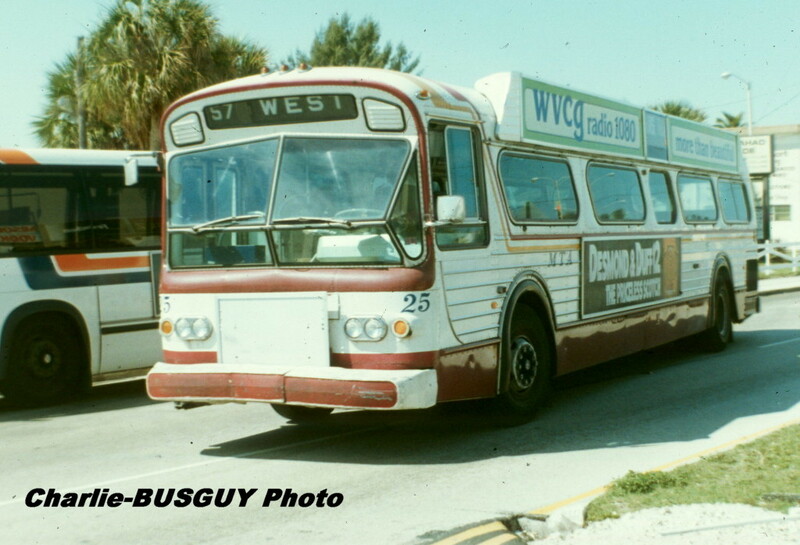 Streaker 25, still wearing the Orange Streaker livery on the Route 57 overtaking a Broward County Transit RTS. Streaker 10 beach bound on the C route. Notice the "cyclops" light on the roof of the bus. This was used to control traffic signals when the bus ran express on NW 7th avenue.